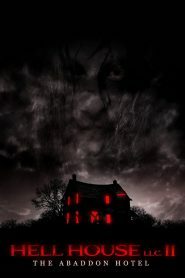 Hell House LLC II: The Abaddon Hotel The sequel picks up eight years since the opening night tragedy of HELL HOUSE LLC and still many unanswered questions remain. Thanks to an anonymous tip, an investigative journalist is convinced that key evidence is hidden inside the abandoned Abaddon Hotel – evidence that will shed light on the hotel’s mysteries and many unsolved deaths and disappearances. She assembles a team to break into the hotel in hopes of discovering the truth. But the source of the tip and the secrets of the Abaddon Hotel are more horrifying than any of them could have imagined.